London author and columnist Howard Jacobson was named the winner of the £50,000 Man Booker Prize for Fiction on October 12, for The Finkler Question, published by Bloomsbury. Jacobson has been longlisted twice for the prize, in 2006 for Kalooki Nights and in 2002 for Who's Sorry Now?, but has never before been shortlisted. 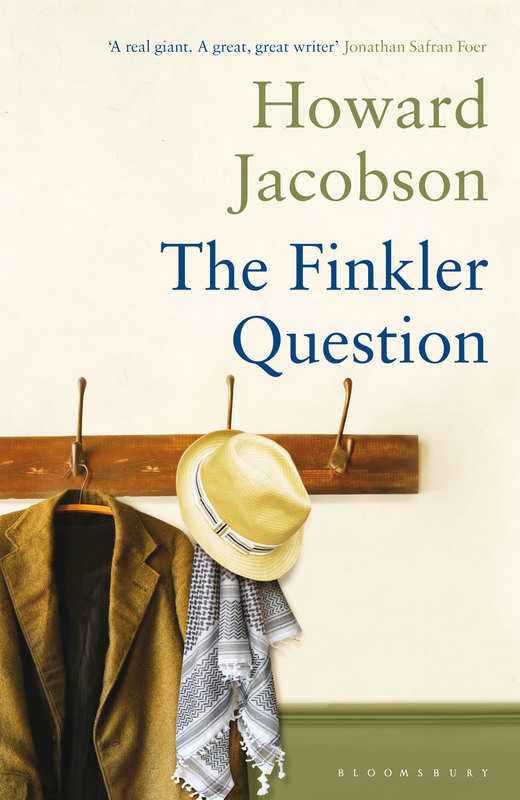 The Finkler Question is a novel about love, loss and male friendship, and explores what it means to be Jewish today. Said to have ‘some of the wittiest, most poignant and sharply intelligent comic prose in the English language', The Finkler Question has been described as ‘wonderful' and ‘richly satisfying' and as a novel of ‘full of wit, warmth, intelligence, human feeling and understanding'. 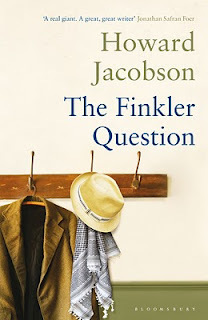 Funny, furious and unflinching, The Finkler Question is a scorching story of friendship and loss, exclusion and belonging, and of the wisdom and humanity of maturity. Julian Treslove, a professionally unspectacular former BBC radio producer, and Sam Finkler, a popular Jewish philosopher, writer and television personality, are old school friends. Despite a prickly relationship, they've never quite lost touch with each other - or with their former teacher, Libor Sevcik. Both Libor and Sam are recently widowed, and with Treslove, his chequered and unsuccessful record with women rendering him an honorary third widower, they dine at Libor's apartment. It's a sweetly painful evening of reminiscence in which all three remove themselves to a time before they had loved and lost; a time before they had fathered children, before the devastation of separations, before they had prized anything greatly enough to fear the loss of it. Over and above his prize of £50,000, Howard Jacobson can expect a huge increase in sales and recognition worldwide. Each of the six shortlisted authors, including the winner, receives £2,500 and a designer-bound edition of their book. Sales of the books longlisted for the 2010 Man Booker Prize have been stronger than ever before, with sales over 45 percent higher than last year. An award-winning novelist and critic, Howard Jacobson was born in Manchester on 25 August 1942 and read English at Cambridge under F.R. Leavis. He taught at the University of Sydney, Selwyn College, Cambridge and Wolverhampton Polytechnic - the inspiration for his first novel, Coming From Behind. He has been longlisted twice for the Man Booker Prize for Kalooki Nights in 2006 and Who's Sorry Now? in 2002. Other novels include The Mighty Walzer and The Act of Love. Howard Jacobson writes a weekly column for the Independent and has written and presented several documentaries for television. He lives in London.